Believe it or not, but the school year is almost over and summer break will be here before you know it!! If you are looking for educational summer activities for your child, then let me recommend the Summer Bridge Activities books from Carson-Dellosa! The books are filled with fun, educational activities that will keep your child entertained and help them retain their knowledge. These Common Core-aligned books help reinforce critical skills learned during the prior school year in a way that is fun and engaging AND helps prepare students for the next grade. Each book represents a grade level "bridge" i.e. PreK—K , K—1, 1—2, 2—3, and so on up to grades 7—8. While there are many other summer workbooks available, Summer Bridge Activities® remains the #1 choice recommended by teachers. We received the Pre-K-K Summer Bridge Activities book for my 3 year old son and it was perfect for days we didn't want to do our structured school. 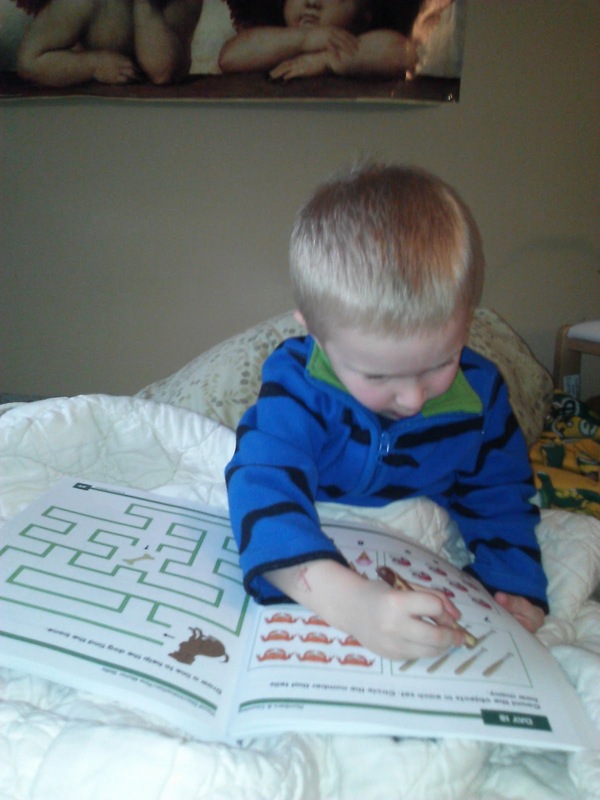 He thought "working" in this book was so great and he asked to do activities in this book every day! They really helped him focus on different skills and hone them! 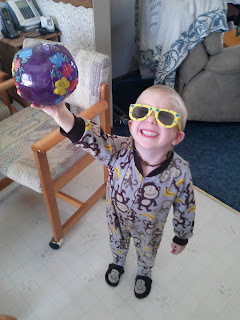 He also loved the stickers that were included to reward every great page! In only 15 minutes a day, the activities in the Summer Bridge Activities® workbook help your pre-kindergarten child keep skills sharp and feel confident for kindergarten. Each workbook is divided into three sections which correspond to the three months of traditional summer vacation. Sections begin with a goal-setting activity, a word list, and information for parents about the fitness and character development activities located throughout the section. Extension activities also encourage outdoor learning, science experiments, and social studies exercises. With bonus flash cards and a colorful award certificate, Summer Bridge Activities® is all you need for learning fun all summer long! 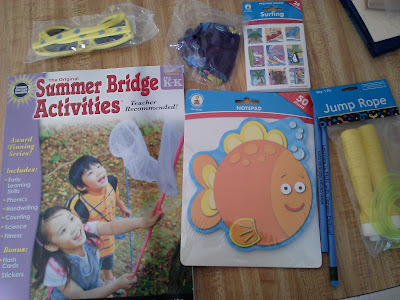 In addition to the Summer Bridge Activities book, we received a great kit full of fun summertime surprises from Carson-Dellosa and my children loved them! The kit includes a fun pad of paper, sunglasses, jump rope, stickers and a small beach ball! Make sure to enter below to receive a great Summer Bridge Activities Kit from Carson-Dellosa for yourself and your child! It includes everything to make this summer fun and educational! Buy It: You can purchase the Summer Bridge Activities Book for $14.95 from Carson-Dellosa's website. 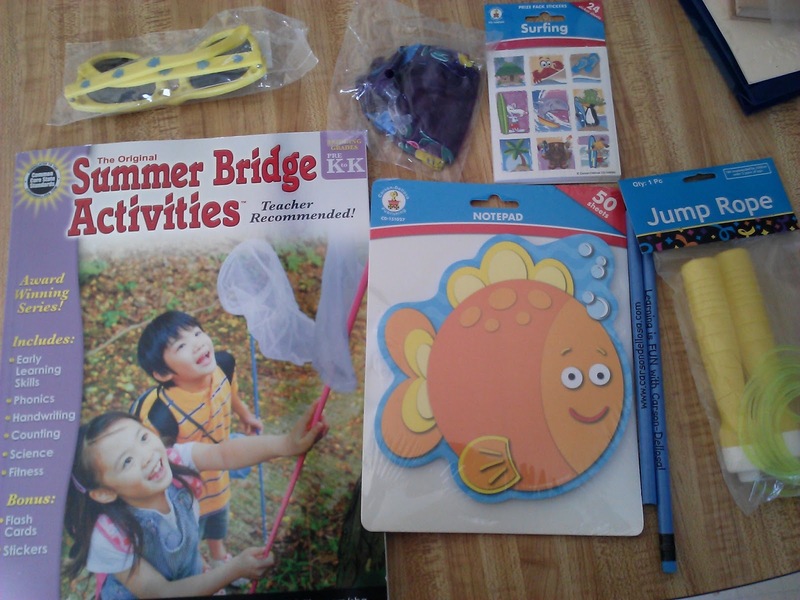 Win It: Carson-Dellosa is generously offering (1) Summer Bridge Activities Kit (includes 1- Summer Bridge Activities book plus other fun summer products) to a lucky winner! 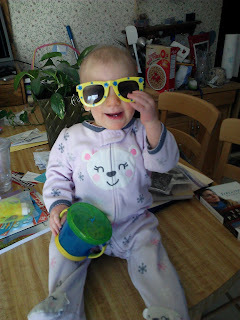 My grandson loves these types of books. Thanks for this opportunity.